Eddie Mitchell, 59, a resident in the area and former head of football club AFC Bournemouth, has unveiled a proposal to transform Sandbanks into a holiday destination with a touch of Dubai’s Palm Jumeirah. Sandbanks in the county of Dorset, known as a millionaires’ haven, is already home to a few hotels and some of the world’s priciest beach-side homes. Under the proposal, a 33-storey sports tower will be built in the area for abseiling, bungee jumping and rock climbing. It will also showcase a seagull-shaped luxury hotel, a marina, an open-air swimming pool, a theatre, some restaurants, casinos, shops, apartments and a helicopter landing pad, according to a Daily Mail report. To protect these structures from flooding, some “arching sea defences” will be built, reminiscent of the The Palm’s branches. The small peninsula stretches about 0.5 square miles and sits about three feet above sea level. It is reportedly in danger of disappearing due to rising sea levels. 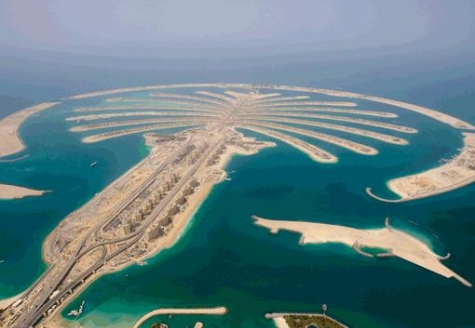 Currently the world’s largest man-made island, Dubai’s Palm Jumeirah is comprised of a long trunk that spans two kilometres, a crown with 17 fronds and a surrounding crescent. Nakheel’s high-profile development was launched in 2001 and about five years later, in 2006, some 4,000 luxury villas and apartments were turned over to the residents. The master developer has recently signed a Dh1.2 billion contract for the construction of a 418,000-square-metre mall, which will become the new centerpiece of the Palm Jumeirah development.